Although the Autumn colors had almost fallen away from the trees, I took a short trip to Arashiyama, Kyoto. Arashiyama is a great place to visit to see some of Japan’s old style temples and beautiful country scenery. On the list to visit in Arashiyama is Tenryuji, the bamboo walkway and Togetsukyo Bridge. You can also catch an open car (Torokko) train from Arashiyama into the mountains and then ride a boat back down the river. Very peaceful. I will have more photos of this area shortly. 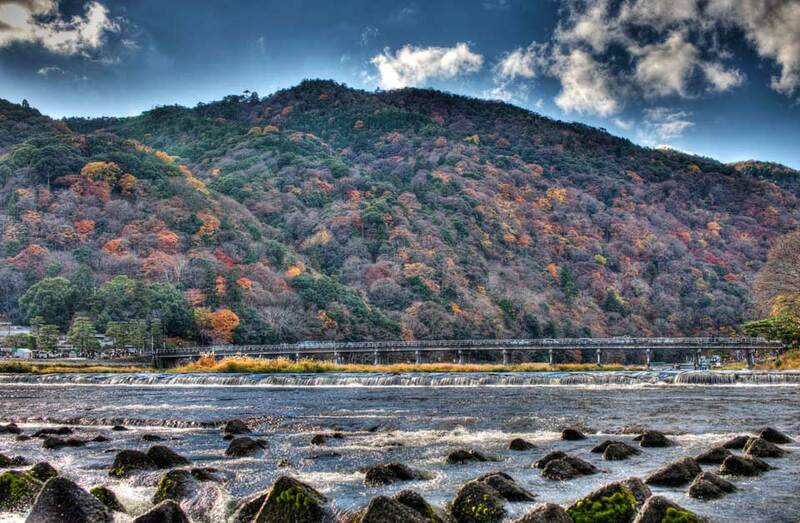 I have fond memories of Arashiyama in Autumn. I stayed in a traditional inn and remember strolling along the bamboo walk. Fantastic. I also have fond memories of Arashiyama and the bamboo walk. We stayed at the Hoshinoya Kyoto which is in an isolated and beautiful place on Katsura River.